DIANAL, founded in 1992, currently produces over 70 standard commercial and custom specialty product grades of coating resins based on acrylic, methacrylic and styrenic monomers. These resins, manufactured both in the USA and Japan using the suspension polymerization method, are designed to add value to the inherent properties of objects made from metals, plastics and paper. DIANAL coating materials have taken the largest market share in automotive topcoats and repair finishes, which require excellent appearance, durability, and resistance to chipping and acid rain. Increasingly, DIANAL resins are being used in hot melt, reactive hot melt and anaerobic adhesives. DIANAL resins are also used to improve gloss and adhesion in inks and lacquers. ACRYCON bead polymer is mixed into viscous "syrup" with methyl methacrylate (MMA) monomer and molded in various ways to produce a variety of products. Cast molding is done typically with added heat and pressure depending on the desired characteristics of the finished product, and ACRYCON may also be used with various molds, such as metal and silicone. Higher mechanical strength can be achieved with the autoclave method. ACRYSIRUP is a reactive resin system, which consists primarily of methyl methacrylate (MMA) monomer, acrylic polymers, mineral fillers and pigments, that under the correct application and curing conditions will give a durable and high quality finish which is 100% solids when cured. EMA resins are used in various applications, from inks to coating. EMA resins are easily soluble in weak solvents. DIANAL FB-series products are styrene-acrylic copolymers for toner binders in copiers and printers. 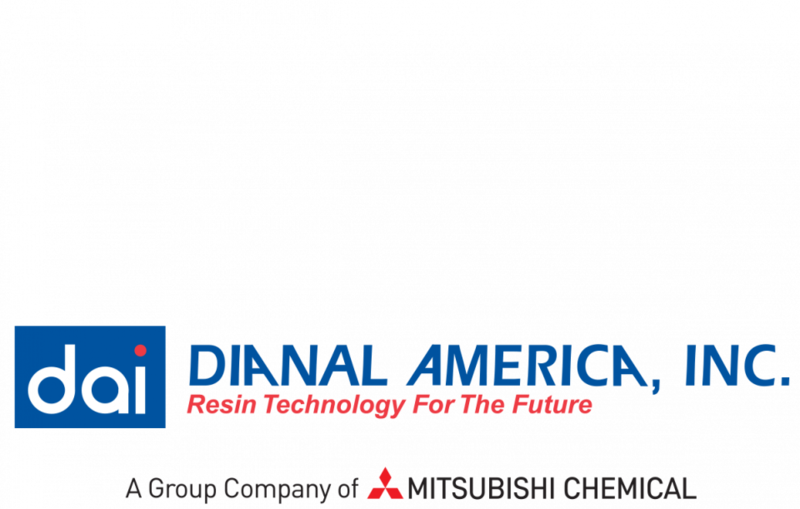 Dianal has a wide variety of resins which are manufactured both in the USA and Japan using the aqueous suspension polymerization method. Many of DIANAL's high acid resins can be used in solvent systems. They can also be dispersed in alkaline water systems. Our hydroxyl functional resins have an OH value from 8 to 90. These products are used in applications from adhesives to urethane coatings. iBMA resins are soluble in aliphatic and alcohol solvents. Many have compatibility with long and medium oil alkyds. MMA resins are used by themselves and copolymerized with other monomers to give properties from very high Tg and Mw, with excellent chemical and abrasion resistance lower Tg and Mw with soluble in a wider range of solvents. nBMA adds excellent UV stability and lowers the Tg for better flexibility of the coating. Styrene Acrylic Resins improve chemical resistance as well as gloss. They are hydrophobic which improves moisture resistance of the coating.